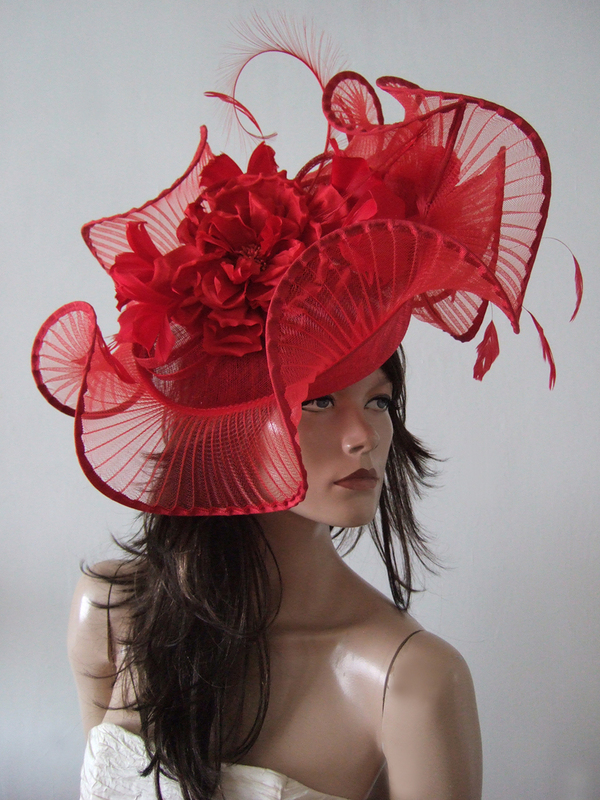 A Side Sitting Disc, with pleated Crinoline "Waved" around the outside, making this an eyecatching headpiece. The outside is then further decorated in Silk Flowers and feathers in floral formation, and trimmed coque and burnt ostrich feathers. The underside featuring an arrangement of more of the floral arranged feathers cupped in pleated crinloine. Headpiece sits at an angle on the right side of head. Pleated Crinoline extending to give a total height of 17.5"